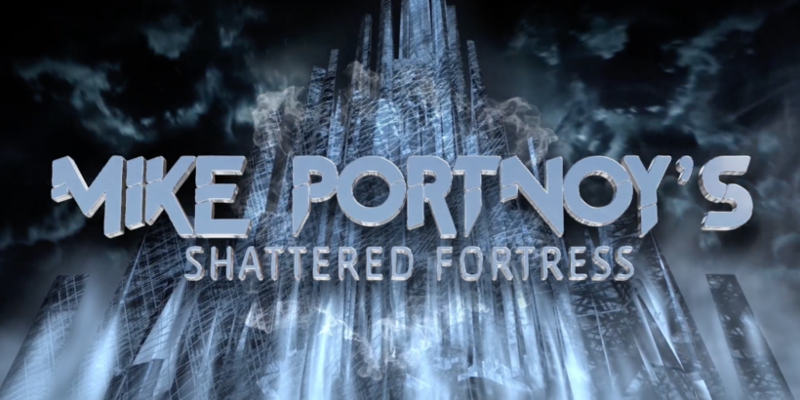 Mike Portnoy’s one time project “The Shattered Fortress” was debuted last night on Cruise To The Edge. 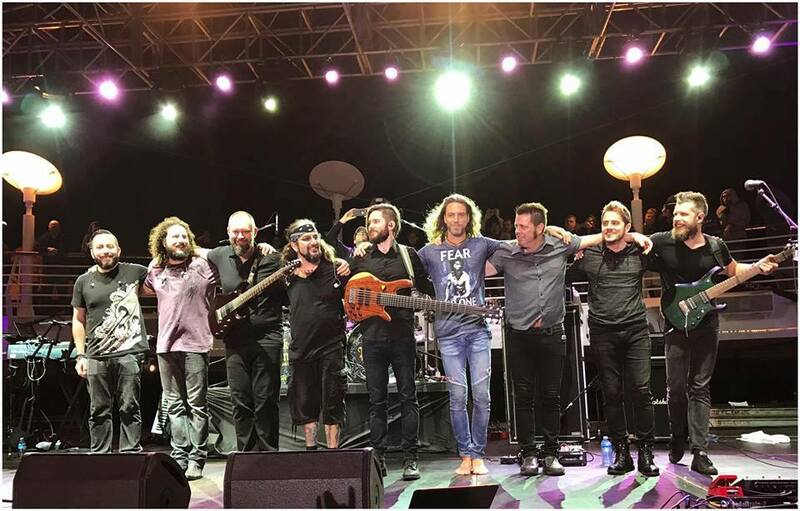 Portnoy is performing with various artists on this cruise as a celebration of his 50th birthday, and probably the most interesting project he’s preforming with is “The Shattered Fortress”- a lineup that will perform The 12 Step Suite in it’s entirety. excitement over this project was building up as no one knew the identity of the lineup, with some people hoping it would feature Dream Theater members as well. a few days ago MP wrote: “Just ran through the entire 12 Step Suite in rehearsals for the 1st time EVER!! Wow…the band I’ve assembled for this NAILED IT!!!”. Beside this performance on Cruise to the Edge, Mike Portnoy’s Shattered Fortress will make it’s appearance at Be Prog! 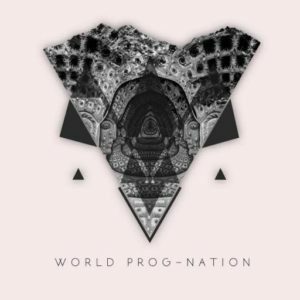 My Friend festival in Barcelona (June 30th), Night of the Prog festival in Loreley (July 14th), ProgPower USA in Atlanta (September 8th), and a standalone performance in Mexico City on September 10th. *the band also played Liquid Tension Experiment songs including Paradigm Shift and Acid Rain with Tony Levin on the bass, Eric Gillette on the guitar and Diego Tejeida on Keyboard. what do you think about the lineup? personally i think this is one of the best choices he could’ve picked, and i wish i could’ve seen it live, or on a DVD. Do you think he should’ve included DT members in the lineup? let us know in the comments. Be careful dudes you’ll be outta work after you do your song. He DID invite DT members to participate but evidently they didn’t want to. They’re in the middle of a tour. They had obligations. Don’t try to make them look like bad guys by saying they “didn’t want to”. Dream Theater was also playing their own show the very same night in Ludwigsburg, Germany. Might have been kind of tough to be in two places at the same time. No!!! The guys in dream theater showed there true colors especially James. I met them at a meet and greet in Asheville Nc. Mike was the nicest by far. I haven’t purchased any Dream Theater music since his departure. He’s better off without them. I think he asked certain members of DT but they declined. So basically what i wanna know, will i be able to hear it NOT being on a concert itself? i live in another part of the world so i just cant, will there be a recording or something i just WANT TO HEAR IT in any way possible, its my dream to hear 12 step suite played live. Read the article. Portnoy said it’s very unlikely it will be recorded and released. Don’t get me wrong I absolutely love Haken, been a fan of theirs since they started and saw their 1st American performance at ProgPowerUSA in 2011 when they only had 1 album out, but I’ve always felt that Ross’ vocals is the weak point of the band. I just can’t picture him singing The Glass Prison or The Shattered Fortress. Especially Glass Prison, it’s got a very powerful vocal part, his voice is good but not strong. And also if I’m remembering correctly Portnoy said it would be an “all star lineup”. It’s basically Haken and Portnoy. I was expecting a variety of guest musicians on each instrument and more than 3 singers. Still extremely excited to see it at ProgPower this year in September but kind of hoping we get a different lineup.